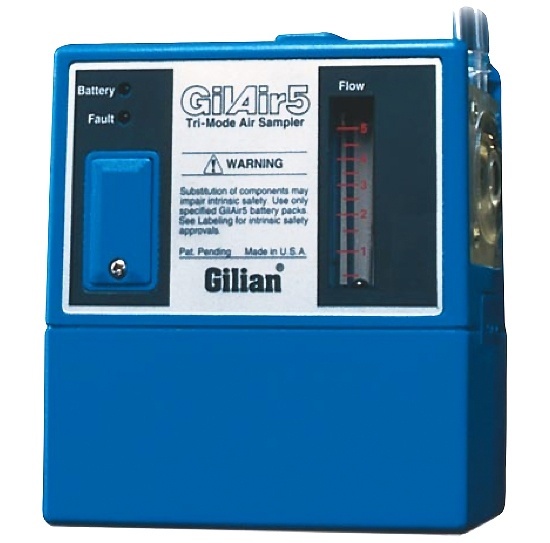 The Gilian GilAir-5 is a reliable and field proven personal air sampling pump capable of flow rates from 850 to 5000 cc/min, as low as 5 cc/min with a constant low flow adapter, or down to 1 cc/min with a multi low flow adapter. The GilAir-5 provides automatic flow control that can keep the flow rates within 5% of the specified settings after calibration. 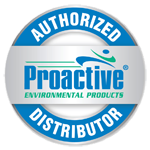 It features a minimum 8 hour runtime, fault indicators, and filter inspection at a glance. The GilAir-5 can come with optional clock and/or delay start capability, and a choice of NiMH or NiCd batteries. Clear External filter housing allows an immediate visual inspection of filter’s condition. Flow Fault indicator lights up if unit operates outside ± 5% of set flow rate. Battery Test indicator lights up when battery can provide a minimum of 8 hours of operation over operating range. Basic model is easy to use. Clock model provides elapsed-time clock display. Program model provides auto start-stop and delayed start times up to 9999 mins. Constant Low Flow module allows sampling from 5-500 cc/min. Constant Pressure (Multiflow) Module allows sampling from 1-750 cc/min.